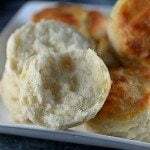 This biscuits recipe comes together in just five minutes! 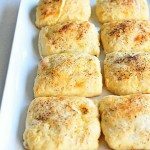 This fun twist on an already easy buttermilk biscuits recipe makes them perfect for the busiest of days! Biscuits and I go together like peas and carrots. I love them. I always have. I always will. 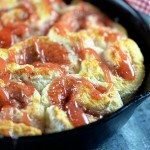 To me, they are the quintessential southern food – simple, easily served with something sweet or savory, and always scrumptious! Biscuits just stand the test of time. They are a classic that is hard to beat! 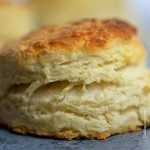 For years now, I’ve made various biscuit recipes – 3 ingredient biscuits, 2 ingredient cream biscuits, biscuits, cheddar biscuits and so many more. No matter how I make them, they are one thing I can depend on my family absolutely loving. And while they aren’t exactly time consuming in the first place, I found a simple way to make them even more quickly. Now, before you start shaking your head at me saying, “Robyn, what have you done? My grandmother would never have done such a thing,” think about it for just a second. Those biscuits that you just love and the ones that my family can’t get enough of – ready in five minutes? Five minutes!? 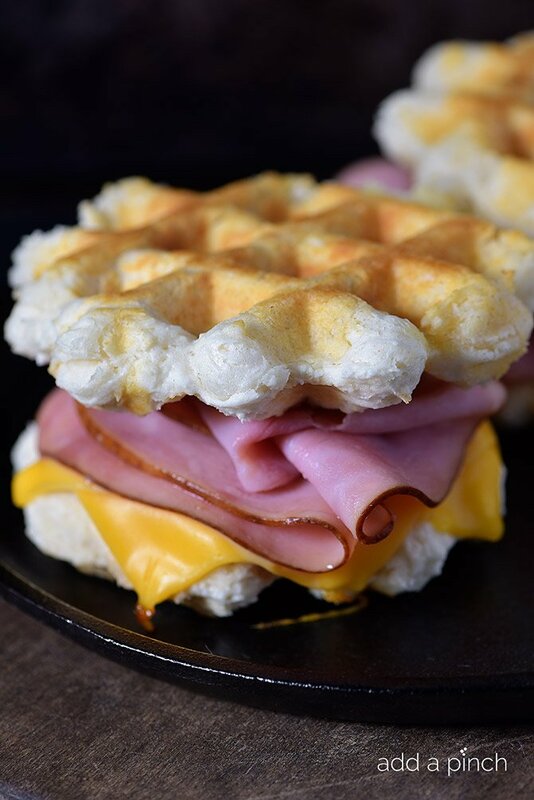 They are perfect for making sandwiches – like these hot ham and cheese biscuit sandwiches that we had for supper last night. The little indentations from the waffle iron also are just perfect for holding the gravy for ladeling white sausage gravy over top for a quick breakfast or even catching butter as it melts and then a quick swipe through the jelly in the mornings. In reality, the possibilities are just endless. The more I think about it, that sounds like a mighty fine idea to me. 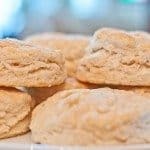 Here’s my 5 Minute Buttermilk Biscuits Recipe. I know you are going to absolutely love them! Preheat waffle iron to medium-high heat setting. 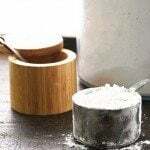 Add flour to a large mixing bowl. Cut in shortening with a pastry blender, two forks, or knives until well-combined. Slowly pour in buttermilk and stir gently until just combined. Do not overmix. Scoop 1/4 cup of biscuit dough and place into each section of the waffle iron. Top with a thin slice of butter and close the waffle iron. 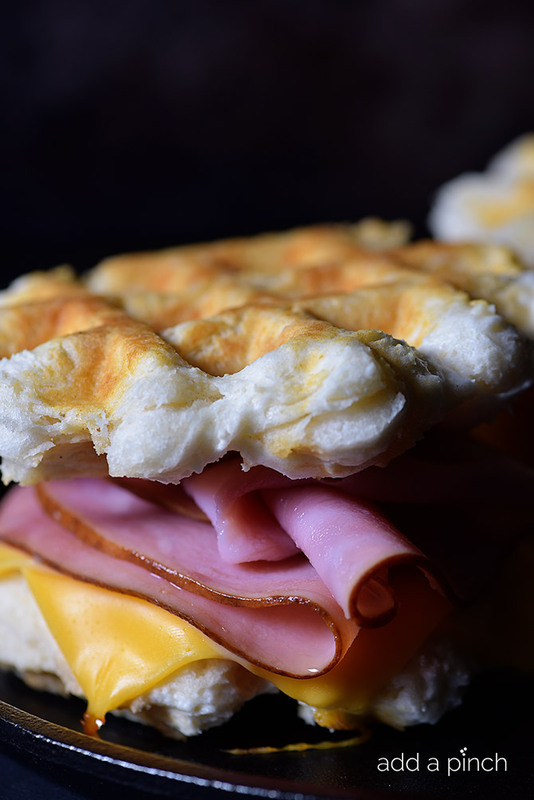 The waffle iron will signal when the biscuits have cooked, but they should be cooked throughout and browned on the top and bottom. Remove from the waffle iron and serve. 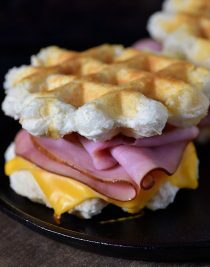 If making hot ham and cheese biscuit sandwiches, once the waffle iron has signaled, place cheese onto the top of one cooked biscuit. Top with ham and another biscuit. Close the lid to the waffle iron but do not press down. Allow the cheese to melt. Remove and serve. We had waffles for dinner last night. I’m going to have to give this a try. My youngest will love the ability to hold more sweet stuff on his biscuit. Just 5 minutes?! OMG. Such a great recipe Robyn….love how simple. Can’t wait to try them! Thank you! I have got to try this recipe~! Our family loves their biscuits. Thanks for this great recipe and idea. Love these waffle biscuits. It’s great idea. Holy yum!!! I’m going to have to give this a try this weekend for the hubs. He loves biscuits. I’m writing the shortening and buttermilk on my shopping list now. Thanks for sharing!!! (^ _ ^) Yum yum!!! These were a fun snack for my kids. The waffle biscuits cooked up fast and tasted great. (However, I have a Belgium waffle maker, and I wonder if the biscuits would brown more evenly in an iron that is not so deep.) Thanks for the terrific idea!